SIMPLE USAGE WITH HIGH ACCURACY. Preciseness and simplicity integrated in the compact body. ■ Analog meter in large display. 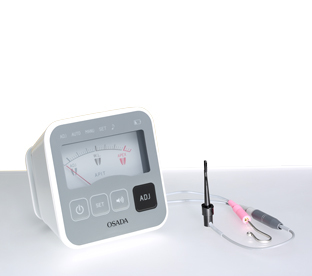 The movement of the file can be traced precisely by analog meter. Large display provides the perfect visibility. 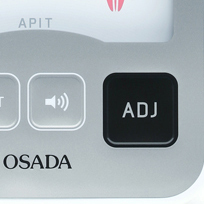 Two modes, Automatic mode and Manual mode, are integrated for dentists' techniques. 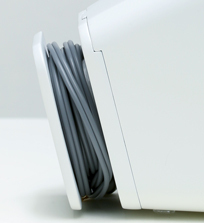 The cord is retractable and can be stored in the body.